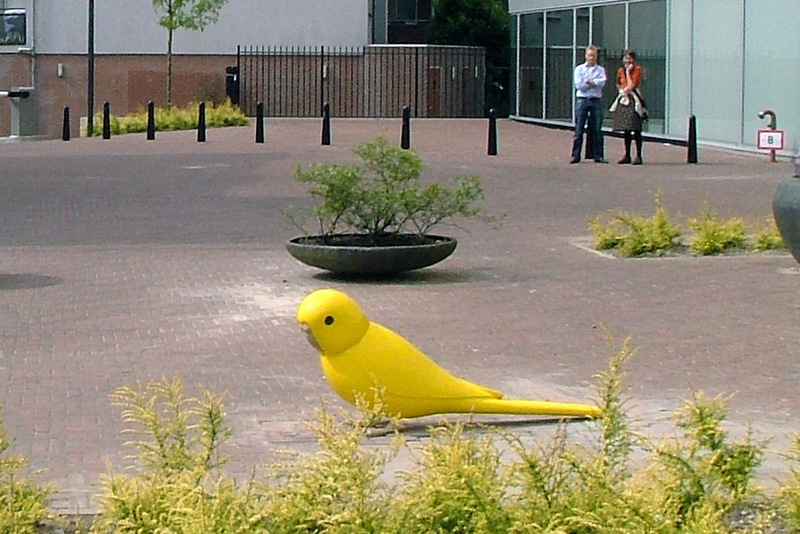 On the cityplace in front of Willem Arntsz Huis, a Mental Institution, five sculptures in the form of oversized budgerigars will be distributed around the square. With their iridescent colorfulness, their unusual size, and their strategic positioning, they will subtly but lastingly shape the site. The birds radiate a surrealistic feeling of surprise and exoticism. 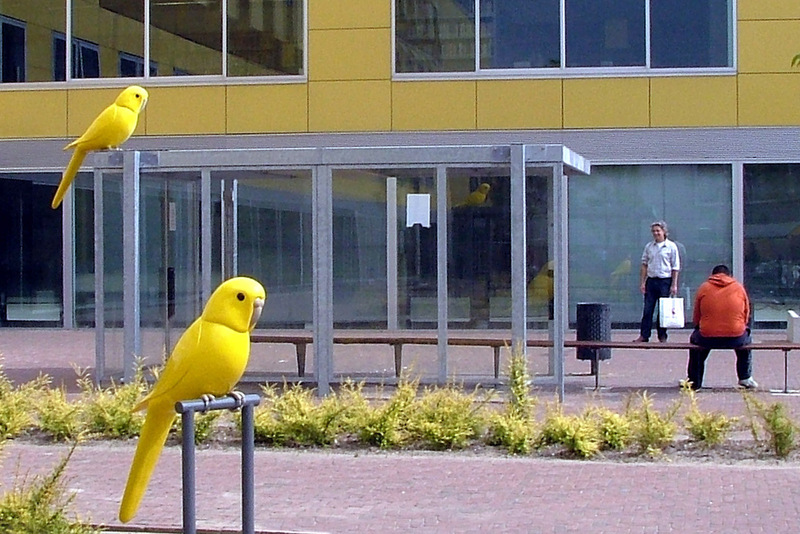 Budgies are the most common domestic bird in Europe, but they are found in the wild only in swarm of birds in Australia. As a pet, they are less exotic, embodying the standard of a domestic bird and regarded as a nice, warbling companion. 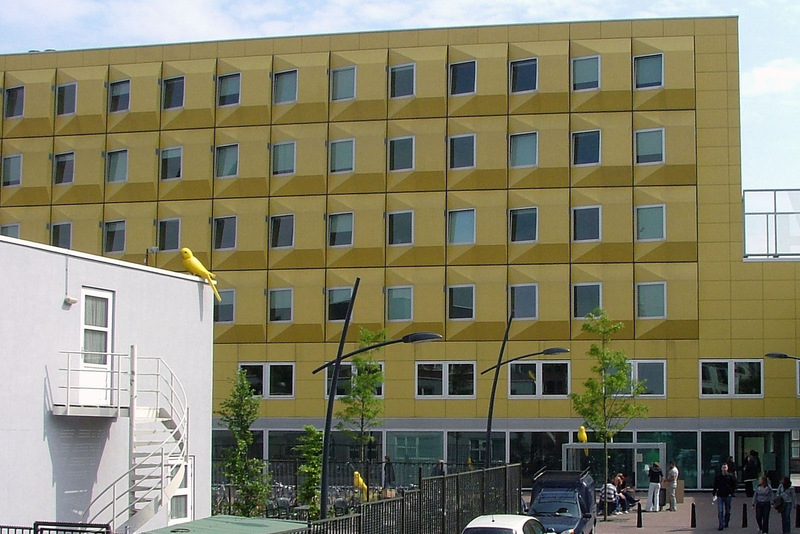 In the urban context, the budgerigar is an unexpected companion, an exotic. If one encounters a freely flying budgie in our part of the world, one is aware of its inability to prevail in the wild and is tempted to catch it and protect it. 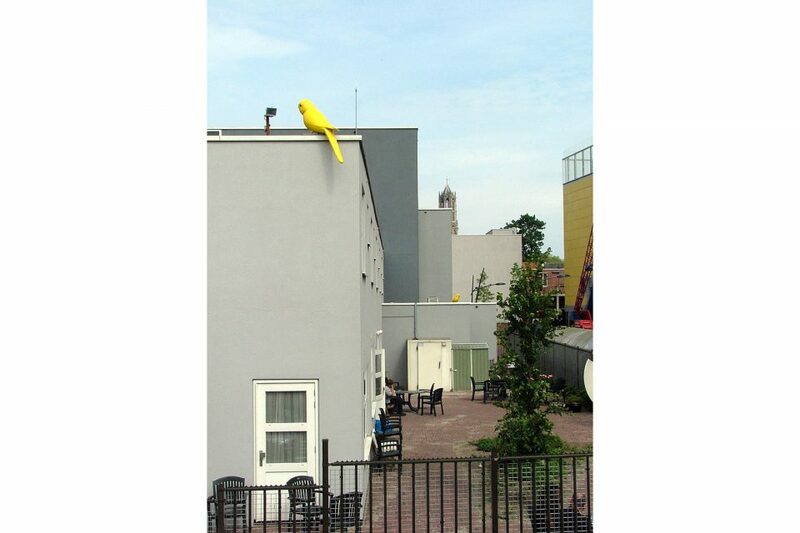 Here a contradiction arises between the seemingly lost, weak bird in need of protection and the strong presence that the group of oversized birds radiates. It seems almost as if, by overcoming their isolation, the birds have “grown” in self-confidence and regard the square as their own. 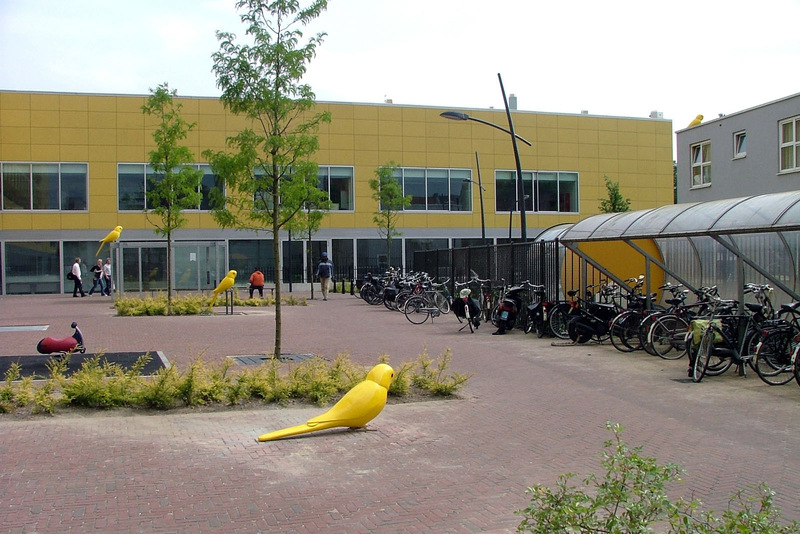 The little swarm of budgerigars defines the site of the stadtsplein as a possible and extraordinary meeting place where the familiar and the exotic can be interpreted anew.